I am hoping this little giveaway will bring some sunshine to your day. As we all know its winter and living in Philadelphia, PA makes it hard for us to grill outside. 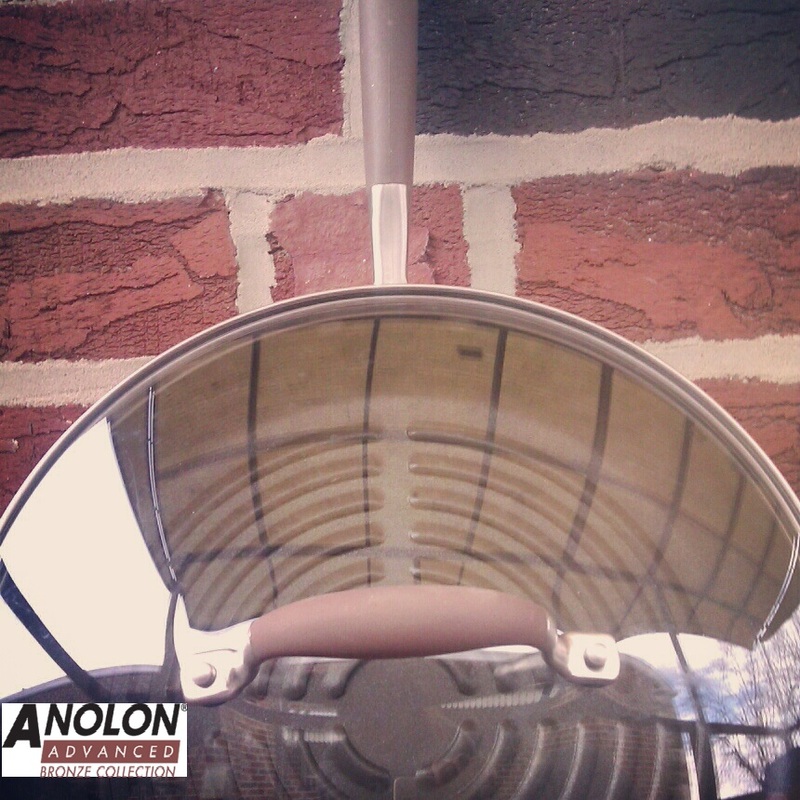 So when I had the chance to review this grill pan from Anolon I jumped right on it. I have tried a lot of grill pans before but this little non stick beauty really gives you those nice grill lines that you want giving it that nice grill crust. It’s really light weight and super easy to clean. It gives out great heat distribution which makes cooking a lot easier. Grill anything from Steak to Shrimp. I actually used this grill pan on my on air PHL 17 segment. Its an 11 Inch Covered Deep Round Grill Pan worth $49.99. All you have to do to enter is leave a comment at one or more of the following Homemade Delish social pages, or this site. In the comment, let me know what you are planning on cooking with this grill pan if you become the winner! Good luck everyone. 1. Join Homemade Delish and Anolon on Facebook. Leave a separate comment letting us know you did so. 2. Follow @homemadedelish and @Anolon on Twitter. Leave a separate comment letting us know you are following if you havent already. 3. Subscribe to Homemade Delish via email. Leave a separate comment letting us know you subscribe via email. The giveaway is open until Tuesday, February 26th at 11:59 p.m. Eastern time. The giveaway is only open to USA residents. Be sure a valid email address is included with your comment(s). Winner will be chosen randomly and announced on this post. We will email the winner and if the winner doesn’t respond in 24 hours, a new winner will be chosen. Product will be shipped by Anolon. Good luck! Disclosure: This giveaway is being provided by Anolon, but the opinions are my own. I also subscribed to Homemade Delish emails. I am planning on grilling some salmon and asparagus. I may even grill some peaches to try and remember what summer feels like. I’m a Philly girl too, and I am so OVER this weather. My spouse loves steak, but we only have it at home during summer. With this great grill pan, I could make him a nice grilled steak even during a blizzard! I like both Homemade Delish and Analon on Facebook. I subscribe to Homemade Delish via email, which is where I heard about this great giveaway. Thanks! I would love to use this instead of my george foreman for pork chops! Filets, too! I would love to make my husband a nice ribeye steak using this pan! i also signed up for the homemade delish newsletter.. i could sure use this pan.. living in new york with all the snow and bad weather lately — uuuughhhh i have been seperated from my outdoor grill – if i won this grill pan i’d be back to grilled steaks, and grilled pizza’s !!!! I would cook some salmon on the grill pan. Thanks so much! I(Jo March) follow Anolon on Facebook. Thanks! I follow @homemadedelish and @Anolon on Twitter. I would grill some salmon and asparagus. I subscribe to Homemade Delish via e-mail. I would use the grill pan to grill chicken/veggie kabobs! I like Avalon on FB. Should be Anolon. Whoops…….I like Anolon on Facebook. I like both you and Anolon on Facebook! I subscribe to your emails! Thank you for the opportunity!!! I would use the pan to cook lots of fish! My husband and I are trying to cut our Cholesterol levels and have started cooking more fish than we did in the past. 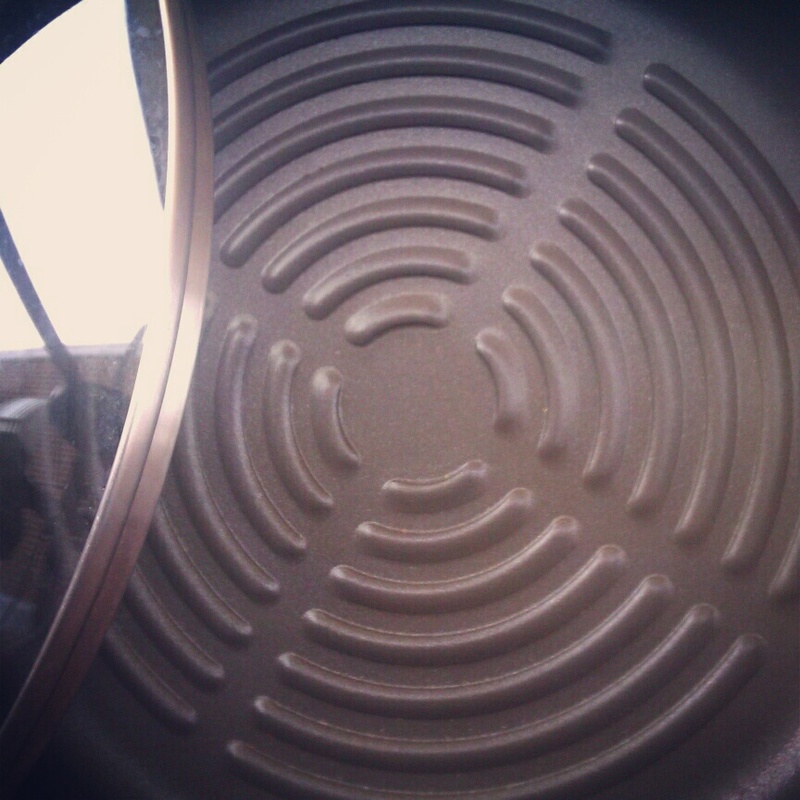 We have also started cooking more fresh vegetables so this pan would be great for that too! AND it matches my brand new Anolon Bronze set. What an awesome set! Everything just slides right off their non stick coating and they are so pretty too! I already “liked” Anolon. That is how I heard about Homemade Delish and the giveaway. I just “liked” Homemade Delish on Facebook! Can’t wait to read your blog! I just subscribed to Homemade Delish via email. Can’t wait to see what you have to share! I would grill some nice fresh salmon fillets and then toss in some asparagus and summer squash to got with it for a nice light summertime meal in the middle of winter. Like both Homemade Delish and Anolon on Facebook. Follow both @homemadedelish and @Anolon on Twitter. I live in a tiny apartment and have no place to put a grill, so I’ve been trying to find a good grill pan. I have some pre-marinated steaks just begging to be made in this new pan! Following both handles on Twitter. I like you both on FB! I’d make Chinese chicken walnut in my new pan. Last day to enter this giveaway. Good Luck! Will the winner be announced tomorrow? I would grill steak and shrimp! Followed and liked all things. I would love to try out this chicken and apricot panini I discovered the other day. I would grill a tenderloin steak, or some tilapia or salmon. I follow you both on twitter @ rusthawk. I follow you both on facebook as Rust Hawk. I am one of your email subscribers too! Oh, do I need to actually do three separate comments? I also followed Avolon on Twitter. And I liked you both on Facebook. Hi! I would use this to grill everything whenever my husband is out of town or working late. I’m intimidated by the outside grill, so I could still have yummy grilled food with this! Thanks!